Combo pack of two jigs greatly simplifies the process of installing Blum Tandem drawer slides! 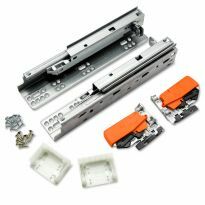 This package includes two powerful jigs that speed the process of installing Blum Tandem undermount drawer slides. 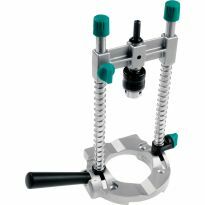 The Drilling Guide allows accurate installation of drawer members, while the pistol-style Slide Jig allows fast installation of cabinet members. 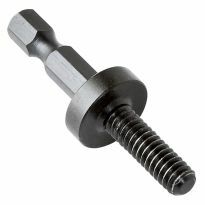 Powerful rare earth magnets on the Slide Jig hold the drawer slide level as you drive the screws. 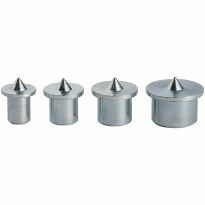 The Drilling Guide locates all required holes for mounting the slides to your drawers. 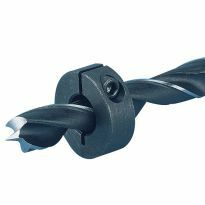 Use sideways to drill the front holes. 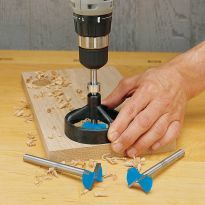 Use vertically to drill the rear holes. Guide includes (2) 2.5mm bits, 6mm bit, (2) stop collars and instructions. Excellent product, reduces installation significantly. Very accurate. 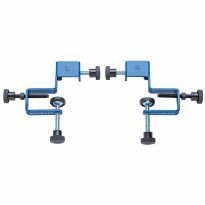 These jigs are perfect for exact alignment every time. They save time & mistakes. Paid for themselves on the first job. The magnets hold the heavy under mount slides no problem. Worked really well better than that the Blum jig I was useing before. 1st, with the jig I purchased the slide setback back is 1/32, not the Blum specified 1/8". 2nd, the top of the face that registers against the cabinet front has a tab of nylon across it that does not allow the flat face to sit flat. If used as is the slides are out of square 1/8" for a 15" slide. With 15 pair of slides to install this afternoon, I will take my sanding block and modify the jig. Seriously bummed though. I saw this and it makes the job a lot easier all the researched I did how could you not get this. I am starting to install undermount slides in a new kitchen. Reduces installation time and errors. Try and make the job easier, we will see. doing my kitchen, and this will speed up the 21 blum pr drawer slides I am going to install! I have a lot of drawer slides to install and I've done it manually before, but always felt uncomfortable. Jigs ensure a proper job every time. Expensive, Yes. Anything to make the job easier. Anything to make assembly easier has to be worth it! Does this work with all undermount slides? Can this be used for mounting on inset drawers, since the need a larger setback? Can this be used for Salice 7555 smoove guides? 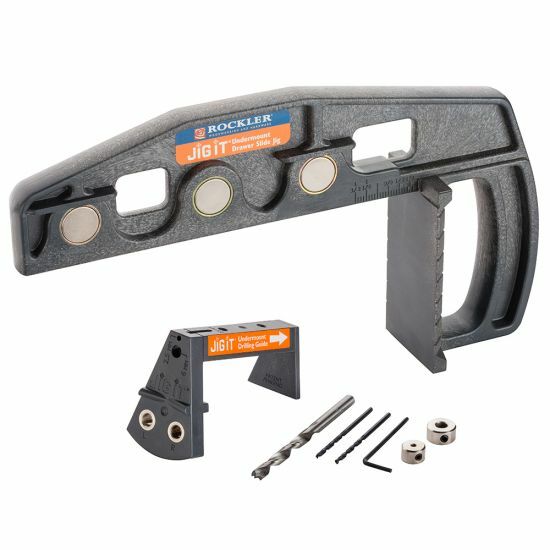 Can this jig be used with inset doors? Yes. Just set the front of the slide at the proper setback mark on the jig. Yes, used it on all my cabinets with inset doors. Yes it can, this is what I use it for. In the description of the Slide Jig it states “Integral stop precisely sets a 2mm setback”. Blum calls for a 3mm setback. Is this a typo or a design flaw? BEST ANSWER: Gary, According to Blum, the Tandem glides require 1/8" (or 3mm) setback. I'm not really sure the difference in 1 mm would matter but you could use some double-stick tape and a 1 mm piece of wood or plastic attached to the setback tab to make the setback 3mm. If you really want an accurate answer, you should contact Blum to see if this 1 mm would make any difference. I never measured the setback but have used the jig many times with Blum 563H Slides on face frame cabinets and it worked great every time.